Parliament Speaker ‘Ali Larijani is quoted as saying he believes the issue can still be resolved diplomatically. Of course none of this means that a resolution is close at hand; it's a high-stakes poker game and Ahmadinejad (who isn't in charge of the nuclear program) is posturing: the question is how close to the brink Iran is willing to go. There are still plenty of voices in the US and Israel calling for a military strike, so brinksmanship is rather dangerous, but the sky does not actually seem to be falling. Saddam Hussein, despite being dead and all, seems to have a new satellite TV channel. Actually it began broadcasting on the anniversary of his execution and has temporarily stropped for now, but says it will be back soon. The speculation is that it's old Ba‘athists operating out of Syria, but it apparently infuriated the Iraqi government. Update: The link was wrong earlier, but fixed now. Posting will be light for a day or two. Back when the Journal was founded, the first issue appeared in January 1947, and ever since it has appeared in January, April, July and October. In those days, with hot lead typesetting and galleys shipped by mail, they probably went to press with the January 1947 issue somewhere in the fall of 1946. In our greatly technologically enhanced era, the January issue goes to press on the first working day of January. Given the intrusions of the Thanksgiving, Christmas, and New Year's holiday blocs, that means fewer working days available to finish the editing process, compared to the other three quarterly issues. So the day job takes precedence, though I'll have some comments sometime later today. Princess Ferial Farouq of Egypt has died in Geneva after a long bout with cancer. She was the last surviving daughter of King Farouq. Her brother Ahmad Fuad, who was briefly (1952-53) King Ahmad Fuad II from exile, survives. It's Thanksgiving weekend. I'm busy. For the Dubai financial shock, Abu ‘Arqala over at Suq al-Mal is where you need to look. 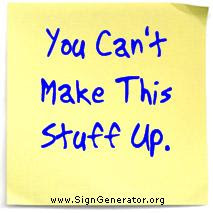 See you Monday unless something else goes crazy. I'd like to wish all my American readers a Happy Thanksgiving, my Muslim readers greetings on the occasion of ‘Id al-‘Adha (and my American Muslim readers both, of course). I probably won't be posting over the Thanksgiving holiday (tomorrow through Sunday) due to family duties, unless there is something major I feel the need to say. The Hajj is underway. Yesterday the pilgrims made their first circuits of the Ka‘ba and ran between the hills of Safa and Marwa, reenacting Hagar's search for water for her child Isma‘il, which she found in the well of Zamzam. UPDATE: Heavy rains hit Mecca yesterday. Today is the eighth of the Muslim month of Dhu'l-Hijja, the month of the Hajj, known as the "Day of Tarwiyya," the day of quenching thirst, since traditionally pilgrims gathered water to see them through the Day of ‘Arafat, the 9th of Dhu'l-Hijja and the high point of the pilgrimage. Today, though, the Hajj pilgrims will gather at Mina, a site near Mecca, where the Saudi authorities have deployed 100,000 security personnel to deal with an expected three million pilgrims. The Saudis build a huge tent city at Mina each year, which can be seen on GoogleEarth. One of the goals of this blog, as of MEI and the Middle East Journal from the beginning, has been to explain the region to the West, though I suspect most of my readers are already familiar with the Hajj and many may have made it. For the basic rituals of the Hajj and the traditions behind them, I defer to Wikipedia and the many knowledgeable Muslim sites far better informed than a non-Muslim like myself (who cannot visit the holy sites) can hope to be. For English-only readers Arab News and Saudi Gazette are already providing a lot of coverage (ranging from price gouging on the price of sheep for the sacrifice to poor quality of roadside public toilets available to pilgrims and other travelers. (Also: there's live posting going on at Talk Islam.) Also, since the Day of ‘Arafat coincides with the US Thanksgiving, I probably won't be posting tomorrow. The day after the Day of ‘Arafat is the first day of the ‘Id al-‘Adha, when the pilgrims carry out animal sacrifices and the Muslim world as a whole joins them in celebration. You may recall that the new Gulf financial blog Suq al-Mal has been on the critical issue of Saudi Arabia's shortage of sand — which was hurting Bahrain's construction industry — from the start. Oman is now coming to the rescue, and Bahrain is importing Omani sand. Nayef AlEnizi who recently acquired a majority of Shabka's shares and is MD and Board Member described the company to AlQabas using the phrase "la wujud laha nihaiyan". "No existence to it in the final analysis". The company has no office. The new board can't locate records or financial statements. The company doesn't have a finance director. And if that weren't enough, he expects that the company will lose the suit brought against it by International Leasing. Of course, Suq al-Mal uses a photo of Kuwait's infamous Suq al-Manakh informal stock market, which imploded in 1982, as its banner, so a certain ironic appreciation of Kuwaiti business, uh, laissez-faire is perhaps already present. Whew: now we can all relax. The Arab League has asked someone to mediate the intensifying Algeria-Egypt football feud. That may be enough to make them patch it up themselves. Nicholas Noe, Qifa Nabki, and Joshua Landis exchange differing views of whether Hizbullah is likely to provoke a new war with Israel. Also from Qifa Nabki, a detailed discussion of the question of nationalizing Palestinian refugees in Lebanon. Could a Shalit Deal Make Marwan Barghouti President of the Palestinian Authority? I haven't posted on it, but if you follow Israeli-Palestinian issues you'll be aware that there's a major flurry of speculation of a deal on Gilad Shalit, the Israeli soldier held by Hamas since 2006. There have been many false starts before, so I'm treating this with caution until it actually happens; apparently a Hamas paper has said it will happen after ‘Id al-‘Adha, next weekend. But this Who Wins and Who Loses? piece by Amos Harel and Avi Issacharoff in today's Ha'aretz raises an interesting potential result (you have to read down a bit for it): apparently imprisoned Fatah figure Marwan Barghouti's family have said he will be part of any prisoner swap the Israelis make with Hamas for Shalit. Now Marwan Barghouti is, by most accounts, the most popular of the "internal" leaders of Fatah in the West Bank and a man who, if he weren't serving in an Israeli prison, would likely have a strong chance of being elected President of the Palestinian Authority, assuming Mahmoud ‘Abbas sticks to his intention of stepping aside (or even if he doesn't). So a deal between Israel and Hamas could actually help the Palestinian Authority solve it's present existential crisis and find the sort of leadership it desperately needs. There are a lot of ifs here: there have been close calls on a Shalit release before; it's not certain Barghouti is part of the swap; and Barghouti's popularity as a martyr in an Israeli prison may not translate well into actual political leadership. Jordan's King ‘Abdullah II has dissolved Parliament and called for early elections, though no date has been set. After some genuine liberalizations in the 1990s, Parliament's role has been curtailed considerably in recent years and the electoral law changed to give more power to tribal and rural blocs. There had been some speculation, apparently, that the King might go for new elections; it will be interesting to see how soon he holds them. More as this develops. I linked to most of the C-SPAN coverage of the Annual Conference earlier, but MEI's own videos are now up on the MEI Channel on YouTube. I won't try to embed them all here, but rather refer you there for most of them. One of the very best was Panel IV on Arab-Israeli peace, so I'll embed the first 10-minute clip of that, and you can proceed to browse the rest if you like. Anwar al-‘Awlaqi, the Yemeni-American Islamist preacher who has drawn a great deal of attention because of his alleged links and connections with the Fort Hood shooter, Major Nidal Malik Hasan, has already publicly distanced himself from Hasan's actions, but it appears that his radical jihadi credentials may have been questioned previously. Guest posting over at Jihadica, Brian Fishman, former Director of Research at West Point's Center for Combating Terrorism (go ahead, tell me with a straight face that they're apologists for Islamist extremism), notes that ‘Awlaqi himself was once denounced by a radical London Islamist (now also deported), for being insuifficiently strict in his application of takfir (declaring a fellow Muslim an unbeliever), with the result that he was, in effect, himself declared a kafir. It's an interesting sidelight for those who are seriously interested in following what the jihadi radicals are saying, as opposed to either 1) tarring all Muslims with the jihadi brush or 2) defending the most rabid excesses of the takfiris who have little following among most Muslims. Once I remember sitting on a rooftop hotel cafe/bar overlooking the Nile (the second Shepheard's I think) and suddenly seeing large throngs of young people pouring across the Giza bridge from the University of Cairo on the opposite bank. Was this the Revolution? Storming the Bastille or the Winter Palace? No, there'd have been more cops. It was a football demonstration. This needs to end soon though. When I asked a few days ago, if they went to war, could they hold the battles in Libya, I was kidding. Really. Time to calm this down. Game over. But it's an interesting one: Why Do Fewer Arab Women Have Jobs in Israel Than in Saudi Arabia? I'm signing off for the weekend, but here's the valedictory link: Free Wi-Fi service in Mecca during this year's Hajj. My only thought is, and I mean no irreverence whatsoever in this, if you're dressed in ihram, where do you keep the smartphone/netbook/laptop? (Actually I think you can carry a pouch of some sort, so perhaps this is a flippant remark.) But the hajj is now wired wireless. I've pretty much stayed out of the AfPak debate — is it "dithering" or deliberation? — but one of my secret vices is military history, and the distinguished military historian Mark Grimsley, currently at the Army War College, has some thoughts that bring a little sanity to the debate. Read the whole thing, but the short version is: there's no military urgency to the issue, but there may be a political urgency, and the leaks are not helpful and should stop. That, I think, is a reasonable approach. Surely there are some fundamental issues at stake here, and those who say Obama is reversing his own strategy of last spring are ignoring the Afghan "election," which even we admit was blatantly unfair. And then there's the Transparency International Corruption Perceptions Index, in which Afghanistan managed to rank second worst in the world, at 179th. Ahead, only, of Somalia (180th). Somalia is no longer a country so much as it's a gang war in progress. Zimbabwe was 146th (tied with several other countries, including Russia [Tolstoy wept]), 33 places above Afghanistan. Karzai has a problem, and so do we. Let's think hard and do this right. Strategy without tactics is the slowest road to victory. Tactics without strategy is the noise of defeat. Now at first glance that may sound more like a fortune cookie fortune than a profound thought. Take a second glance. Tactics, after all, are the methods you use to achieve your goal. Strategy is your definition of those goals within the broader sphere of national interests, military realities, political possibilities, and so much more. A good strategy but poor tactics may take forever; good tactics with no overriding strategy has no place to go. I think the Administration is right to be debating strategy in Afghanistan first. How many troops you send is contingent on what you're trying to do. And that's the question we never clearly defined in Vietnam: what's our objective? It wasn't to conquer North Vietnam (impossible in a nuclear Cold War environment). So what? To defend South Vietnamese independence? Where do you do that? Only in South Vietnam? Inside North Vietnam? How do you define victory. And ultimately I suspect that's the real issue in Afghanistan: how can you tell when you've won? And the corollary, of course: if you can't tell that you've won, when do you get to go home? Modern war doesn't lead to surrenders on the battleship Missouri, and even when the victory seems complete (e.g. Baghdad 2003), asymmetric warfare can spoil your party. Of course, the key phrase here is "no one in his senses ought to do so." Let's deliberate (not dither, deliberate) on this one. It's important. I'm glad I'm not the one who has to make the decision. Former Knesset Member Yossi Beilin announced yesterday that Prime Minister Netanyahu will soon declare a ten month freeze on settlement construction in the West Bank, which would not include Jerusalem. Posturing on what may happen following Netanyahu's declaration, Beilin predicted that the Americans would welcome the move and call for the renewal of talks despite their disapproval of continued building in Jerusalem and the Palestinian Authority would not be able accept it and would collapse as a result. Um, did I miss something here, like the lion lying down with the lamb (or the lamb becoming the spokesman of the lion)? Why is Yossi Beilin seemingly announcing (and privy to) the intentions of Bibi Netanyahu? Admittedly, he is predicting that the PA will reject it and this will wreck the peace process, and is probably saying that this is a Really Bad Thing, but is this just a political guess or does he know something? Barbie in Dubai: Or, Are You Sure Dubai is in the Arabian Peninsula? Turning 50 with grace and style, yet not looking a day over 17, the iconic Barbie doll strutted her stuff on the runways of Dubai Fashion Week. Celebrations for Barbie’s big five-zero started taking place in March, during which big name designers in New York including Diana von Furstenberg and Michael Kor ork. It was time for Dubai’s designers to do the same, which they did, capturing her sexiness and appeal in a myriad of styles. Yet all had a locally inspired touch. Brands who lent a hand to dress Barbie included Aiisha Ramadan, Amato, Amber Feroz, Salma Khan, Sartori Sartori and Sugar Vintage amongst others. Barbie pink of course was much utilized as the show kicked off with a crystal-studded pink swimsuit. Yet harem pants, evening gowns and elaborate kaftans were also part of the show, wowing audience members with the versatility of typical Middle Eastern designs and silhouettes infused in modern contemporary pieces. Gowns in georgette and chiffon, flared skirts, hot shorts and glamorous black were also included. And homage was paid to younger fans with two designs made for Barbie’s young counterparts. Two black and white designs caused quite a stir amongst the younger crowd. Dubai Fashion Week ran from Nov. 2 to 5, showcasing the most promising young design talent and the best of locally established brands. Models strutted down the catwalk like any other fashion week, proving that the Middle East is worthy of much attention by the fashion world. I gather there's an effort to hold a new vote on Saturday. I'm sure the US Embassy and General Odierno are paying very close attention. I think the key element to keep in mind (as a non-Iraq specialist) is that Hashemi is a Sunni (the three-man Presidential council consists of a Kurd, a Sunni and a Shi‘ite), and the dispute here is over the voting representation given to Iraqis abroad: the majority of whom are Sunnis. UPDATES: If you believe the blogosphere, and the wilder media, an Egyptian has been arrested for espionage in Algeria; Egypt threatened Sudan that it would send its special forces to provide security for Egyptians in Khartoum after the match, and lots of other wild allegations. Let's everyvody cool off a little, okay? [ORIGINAL POST]: I spoke too soon. The game may be over but the diplomatic flaps continue. Ambassadors are being summoned for protests, and Egypt's to Algiers has been called home for consultation; Sudan has also gotten into the protest act, and Algerian and Egyptian communities in Marseilles have clashed. FIFA is considering action against the Egyptian Football Association over the earlier attack on the Algerian players' bus in Cairo. Oh, and also this. Kal at The Moor Next Door reviews the international media coverage and finds it wanting, finding more Egyptians to quote than Algerians and generally showing ignorance about the Maghreb. (As a Maghrebi who's writing from Cairo in this post, he's well placed to comment.) On the other side, Al-Masry al-Youm offers a survey in English of the Egyptian media coverage of the aftermath. And El Koshary Today, a relatively new Egyptian attempt at The Onion-style parody quotes an imaginary sheikh as attributing the (first) Egyptian victory to prayer. (I don't think I'd previously linked to El Koshary (it's named for a popular Egyptian street food) but to those who know Egypt, they're sometimes right on target. Like any parody, sometimes they fall flat. There's a story being played up by the media (it was on ABC News tonight, and here's an AFP version of it), noting that CT Scans of the Mummies of the Pharaohs show that they had heart disease, specifically, hardening of the arteries. Could have saved the cost of the CatScans. Punchline: The story says one of the Pharaohs specifically tested was Merenptah. He was the successor of Ramses II, most people's (including Cecil B. DeMille's) candidate to be the Pharaoh of the Exodus. Algeria 1, Egypt 0: Can We Get Back to Other Things, Now, Please? Of course, in the rubbing-salt-in-the-wound category, after Algerian mobs smashed up an Orascom Telecom store in Algiers and stole thousands of phones, now the Algerians have slapped Orascom with a $600 million bill for back taxes. That may well be a legitimate tax claim (I have no idea), but given the fact that Orascom is an Egyptian company, the timing is highly suspect. The hajj is often billed as the largest gathering of human beings in one place, at one time, for a single purpose, on earth, and I can't think of what other claimant to that title there might be. Up to three million people assemble in Mecca for the days of the hajj; though Muslims may make the lesser pilgrimage (‘umra) to Mecca at any time, the hajj only occurs once a year, and is considered a pillar of Islam: incumbent on the believer once in his or her lifetime, if possible. All those millions perform the same ritual on the same days at the same time. There are always the usual security concerns about the hajj: about large scale movements of crowds that have led to trampling deaths on several occasions; political actions by other pilgrims (Iran was long a major problem on that score), and so on: but this year there's the added factor of the H1N1 virus. The Saudi media has stopped using the term "Swine Flu" so far as I can see (it would be pretty inappropriate in this context, anyway). But concern over a mass outbreak due to the large crowds gathered for the hajj has been under discussion for some time. As far back as the first stirrings of the virus last spring, Egyptian clerics were suggesting suspending the hajj or other drastic measures. The Saudis seem determined to encourage people to make the pilgrimage, while discouraging those who might be especially vulnerable and, of course, seeking to screen out any infected pilgrims at the point of entry. For details in English language media, I can refer you to a CNN report, a Saudi Gazette article about the Army of health professionals checking arriving pilgrims at Jidda Airport, a somewhat overlapping Arab News story about precautions taken by the Health Ministry, etc. As the hajj approaches I'll no doubt have more to say. The latest flap between the Obama and Netanyahu Administrations is over some 900 new homes scheduled to be built in the Jerusalem neighborhood (according to Israel) or the Israeli settlement (according to most other folks including the Obama Administration), Gilo. This has raised some hackles in Israel since to most Israelis, even old Laborites, Gilo is not considered a "settlement" but a long-established suburb of Jerusalem. But as the US has shown on other recent occasions, anything over the (1967) Green Line is considered a settlement. It's been so long since the US has complained seriously, about such construction (as opposed to an "unhelpful" characterization, a wink and a nod) that the Israeli government seems to be a little bit caught off guard. Personally, I tend to think that in the absence of any progress in the peace process all settlement expansion, even in the Jerusalem suburbs, is counterproductive, and that the US is finally returning to its older position on the matter. But I'm not going to argue the point here because it's not mine to argue: it's something to be negotiated in a peace settlement. But I do think whenever we discuss facts on the ground, it helps if someone has a general understanding of the ground: if we can get our facts right. When I see the BBC refer to Gilo as in "East Jerusalem," and Al-Jazeera (which does have a Jerusalem bureau) saying the same thing, the old journalist in me starts to wonder: did any of you think of hopping in your car or a cab and going there? I'm glad to see that CNN, at least, locates Gilo "on Jerusalem's southern outskirts." Give them a gold star for at least looking at a map. Gilo is indeed over the Green Line, but to the southwest of West Jerusalem. It sits on the western edge of a ridgeline that runs between Jerusalem and Bethlehem: the Mar Ilyas Monastery is on that ridgeline to the east, and Gilo to the west. It looks down on the Palestinian town of Bayt Jala to its south, which in turn lies west of (and uphill from) Bethlehem. 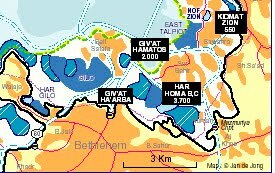 In fact Gilo takes its name from a Biblical town which probably lay where Bayt Jala is today (Arabic Jala = Hebrew Gilo). Even the Wikipedia entry starts out, "Gilo (Hebrew: גילֹה‎) is an Israeli settlement in East Jerusalem" in its first paragraph, but by its third paragraph is saying that "Gilo is located on a hilltop in southwest Jerusalem, separated from Beit Jalla by a deep gorge." So according to Wikipedia, it's in both East Jerusalem and southwest Jerusalem. It's southwest of the bulk of Israeli pre-1967 Jerusalem. West of the road to Bethlehem (and very visible therefrom). I just like to make sure when people are arguing they're clear what they're arguing about. One of my readers has graciously nominated this blog in the "Best Middle East and Africa Blog" category for the Weblog Awards 2009. If anyone wants to pile on you can go here (or just click on the button above), find the entry nominating the MEI Editor's Blog, and click on the "plus" sign to add your vote. (Don't worry about all the ways to nominate (Facebook and Twitter and all that): ANYBODY can click on the plus sign.) After the nominating period is over they'll announce which finalists will compete in the vote in January. I'm glad to be nominated, in any event, being a new kid on the block. I'm going to be busy on Journal work this week, so a lot of my postings will be link dumps rather than my own writing, I suspect. This is such a links dump: lots of reading, not much commentary by me. One theme that has turned up a lot lately is the so-called phenomenon of "post-jihadism," or the increasing number of statements/sermon/fatwas/declarations by various Islamist groups limiting the justifiable targets of jihadist violence. 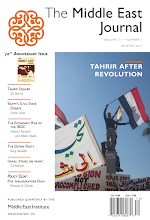 It's easy to by cynical; one of the earliest instances was the decision by the imprisoned leadership of al-Gama‘a al-Islamiyya in Egypt to declare a truce (being in an Egyptian prison clarifies one's thinking in ways that haven't happened yet with their former colleague Ayman al-Zawahiri). Imprisoned Moroccan scholar Muhammad Fizazi has also reportedly written a letter to Muslims in Germany saying Germany is "not a battle zone" (with a link to his letter here). Some interesting readings linked loosely or directly to this theme: from the Hudson Institute, Jean-Pierre Filiu on The Brotherhood vs. Al-Qaeda: A Moment of Truth? A three-part post over at Jihadica has summarized popular TV preacher Yusuf al-Qaradawi's book on Fiqh al-Jihad: Part 1, Part 2, Part 3. For a dissenting view on the CNN report, see The Arabist here, who feels that CNN is being manipulated by Sayf al-Qadhafi here. (He points to another piece here. )I'd agree that the Qadhafis are not the best source for Libyan Islamist thinking, but clearly whatever we make of this "Jihadi code," it fits into a broader trend sometimes called "post-jihadism." Not everyone is post-Jihadist. See Abu Muqawama recently on the Taliban's Book of Rules. We've reached the point of the Algerian Ambassador to Egypt being summoned by the Foreign Ministry and warned to protect Egyptian nationals in Algiers; the Egyptian PM calling the Algerian PM; an Egyptian telecommunications office being ransacked and $5 million worth of cell phones looted; the EgyptAir office in Algiers being destroyed; the Algerian Ambassador to Egypt having to publicly state that no Algerian fans were killed, as Algerian papers had claimed . . . Here's an Egyptian report in English; or this from the Beirut Daily Star; an Arabic report from Al-Masry al-Youm (their English site is down). It's only a game, it's only a game, and there's going to be another one in Khartoum . . .
Al-Jazeera is one news organization that posts to YouTube with embed codes, allowing bloggers to easily help spread their videos around. It's good advertising for them; too bad more news media (like the BBC) don't do it. Video and Transcript of Under Secretary for Political Affairs Burns' address at the State Department website. I'm a brand new blog at it would be really incredible if I even got seriously considered in the "Best Middle East and African Blog" category at the 2009 Weblog Awards, but most of the first 19 nominees are specifically Israeli-oriented blogs (one-sided: some of which I read so I'm not opposing them because of their orientation, but a more generalist blog would be a good candidate), I'm just noting where somebody might want to go to nominate. Of course I expect one of the big guys to get it, but hey, I can dream. Last year I believe this became an OK Corral Shootout between Juan Cole on the left and Michael Totten on the right, and it may be again. (Totten won, I think.) I figure I, and MEI generally with its "we don't take sides: we provide a forum" approach, are pretty middle of the road. Texas maverick politician Jim Hightower once wrote s book entitled "There's nothing in the middle of the road but yellow stripes and dead armadillos," but I still tend to think I blog pretty much down the middle. If that makes me a dead armadillo, so be it. I won't, however, nominate myself, though apparently that's allowed. Just noting the opportunity if anybody wants to. Lots of stuff on the Egyptian and Algerian blogs and media tonight, much of it wild rumor. A last pre-bedtime post: some post-game violence in Cairo with a number on both sides injured seems to be true, but apparently an Algerian tabloid briefly claimed some Algerians had been killed (not, seemingly, true) and several Egyptian sites in Algeria were attacked; one report says the EgyptAir office was burned or otherwise damaged; Egyptian workers were reported attacked; the Egyptian Embassy had to be surrounded by Algerian security forces. Much of this is probably as exaggerated as the first reports of deaths. Also an Egyptian blogger was found beaten after the match. That's odd. Do Algerian fans know Egyptian bloggers by sight? Or did somebody in State Security see an opportunity? It's only a game ... It's only a game ... Aren't there more serious issues in the Middle East? Panem et circenses. Just checking in over the weekend to note that the Egypt-Algeria match that has produced so much sound and fury ended with an Egypt 2-0 victory, but that only forces a playoff in Khartoum on November 18. So it's not over yet. I thought only Central Americans fought actual wars over football. Apparently the Middle East doesn't have enough other things to fight about. It gets worse. The Egyptian-Algerian football rivalry, besides going violent last night, has led to all sorts of weird behavior, including an Algerian hack of the Egyptian Football Association's website showing an Egyptian flag with an Israeli star of David on it. The extremely irreverent Egyptian blogger who calls himself sandmonkey has a list of things that have been happening. Egyptians dying for a ticket to the Game attacked all ticket selling centers in droves today. The Elite Heliopolis Sporting club managed to secure a couple of thosunad tickets to sell to its members, only to have word of this reaching the egyptian population and having hundreds of egyptians storm into the private club to get their hands on tickets. 40 police cars were called to secure the facility. And there there is this picture of another ticket box office: [his link is broken here]. The match is Saturday, 5:30 PM Cairo time. I hope nobody goes nuclear before then. Almost two weeks ago, when I noted Algerian Revolution Day, a commenter on that post insisted that of the Arab countries I mentioned as supportive of the war of independence, Nasser's Egypt did the least. At the time I assumed it was just a historical quibble. Now I'm wondering if it was about football. Final thought: since they have no common border, if they go to war will they fight the battles in Libya? Brother Colonel Leader has a lot of great military uniforms. Asher Kaufman: "The Village of Ghajar"
UPDATED: I originally said C-SPAN didn't cover the peace process panel. They did. Well, this is only slightly less unexpected than the sun rising in the East, given the fact that Hamas has said there would be no elections in Gaza, and that Abu Mazen's stepping aside leaves Fatah without a candidate in the West Bank, but it now seems to be official that there won't be Palestinian elections in January. Also see here. So where do we go from here? Nathan Brown, who follows Palestinian political evolution closely, has both a commentary at Carnegie and a guest post on Marc Lynch's blog, both addressing his call for some sort of "Plan B." Read his ideas; this is going to be a major subject of discussion and debate for some time to come. The last panel of MEI's Annual Conference on Tuesday was devoted to this issue, and C-SPAN posted video of the peace process panel here. [Some other coverage by C-SPAN are up at the C-SPAN site: Zalmay Khalilzad's banquet address; the panel on Gulf Security; and the one on the Future of Iraq.] The presentations by Khalil Shikaki and Daniel Levy were particularly pointed. Robert Dreyfuss of The Dreyfuss Report has posted on the panel already. Watch the C-SPAN video. Sorry, but it's unembeddable, so you'll have to click on over there. More dramatic video (unembeddable though so you have to go there) and BBC story here. UPDATE: ALGERIAN TEAM ATTACKED IN CAIRO. See following post. You probably thought that continued settlements policy, the new Lebanese Cabinet, or the Iranian nuclear program would be the main preoccupation of the Middle East citizenry at the moment. You would be wrong. At least for the roughly 115 million people living in Algeria and Egypt, the center of the universe at the moment is the Algeria/Egypt playoff for the World Cup, scheduled for Saturday. So much so that the Egyptian National Heart Institute is warning Egyptian heart patients not to watch the match for fear of keeling over on the spot. The expert cited claims that "When Argentina beat England in 1998, the heart attack rate in the UK rose by 25 percent." I'm not sure of how accurate that statistic may be, but this is an old and bitter rivalry, evoking memories of a bitter clash in 1990, as even Sports Illustrated has noted. The Egyptian blogger who calls herself Zenobia has noted that young Egyptians are more willing to protest difficulty in obtaining tickets to the game than they are social injustice, unemployment, etc. So this is a grudge match, between the largest Arab country and another major power. And Egypt needs three goals to make it to the World Cup, while Algeria needs only a draw. Note that in the Sports Illustrated article one Egyptian player compares 1990 to the 1973 Arab-Israeli war. I'm not sure that's altogether hyperbole. More Egyptians may care about the outcome. Just a reminder that all the things we talk about here may not be what they're talking about in the qahwas of Cairo and Algiers. Policy wonkery is one thing, but then there's futbol. Unlikeliest Headline of the Day: "Israel Urged to Purchase Hitler's Home"
But then, could you sell Hitler's birthplace to anyone other than Israel for anything other than a museum to commemorate the Holocaust and not be criticized? So I guess it makes a certain amount of sense, though I'm far from sure the Israeli government would find this an attractive offer. Two million euro asking price no less? Only its notoriety could make it worth that, and should Israel subsidize notoriety? It may even be the headline of the week, since it's been just over a week since the Sand Shortage in Arabia story. Saudi 10-Kilometer "Kill Zone" in Yemen? Well, well. A week ago I noted that the artillery shown in a Saudi picture shelling Yemen had about an 11 or 12 kilometer range, and yesterday I remarked on the fact that Prince Khalid bin Sultan was talking about a 10-mile deep zone inside Yemen Saudi Arabia wanted clear of Houthis, though he never suggested Saudi troops might violate the border. Well, now a "Saudi government advisor" is telling Reuters that the Saudis are using air power and artillery "to enforce a 10-kilometer wide buffer zone inside Yemen." While the Saudis still deny having any ground forces across the border, I'd read that as acknowledging that they're bombing in the 10km strip south of the border. Sometimes it just doesn't make any sense to try to comment on a story because it's already too bizarre to deserve a comment. This Hizbullah report about a "Nasrallah fish" threatening Israel (or, as Hizbullah almost alone still refers to it in what almost — but not quite — inspires nostalgia, the "Zionist Entity") pretty much defies comment. Sarcasm and snarky commentary don't work when the original is beyond parody. 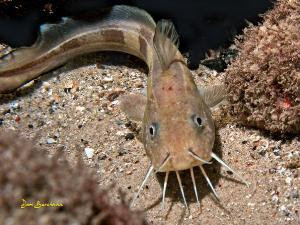 It looks like a catfish to me. Fry it up, maybe some hushpuppies . . . The Carnegie Endowment for International Peace's Arab Reform Bulletin is always a fine collection of essays on democratization and related issues in the Arab world, and there's a new issue up with a wealth of interesting stuff: Iraq's electoral law, Muslim Brotherhood troubles (post in preparation here on that, soon I hope), post-Jihadism (by Omar Ashour, who's very good at it and I also plan to post on the wave of "post-Jihadi" discussions lately, perhaps as early as tomorrow); and a lot more. I think I've mentioned previously that the fact that Arab Reform Bulletin is edited by Michele Dunne and The Middle East Journal is edited by Michael Dunn (me) has led to one or two misdirected phone calls (plus we both do Egypt), but I should perhaps note that sometimes Arabic citations (especially in former French Mandates or colonies where "Michael" tends to be read as "Michel"), are even stranger since sometimes they transliterate our names exactly alike in Arabic. I always have to look at the verb to see if it's feminine or masculine. They usually are quoting Michele, of course. I haven't read the new issue yet but it's usually worth everyone's time. I haven't posted much lately about Afghanistan because it gets pretty well covered everywhere else, it's a country I don't know personally, and Abu Muqawama covers the ground pretty thoroughly in the blog world. They also seem to demonstrate continued Obama White House resistance to getting railroaded by the generals to choosing from a set of options that all reportedly include increasing the U.S. troop presence in Afghanistan, from an outlier additional 10,000 troops to the additional 40,000 troops requested by McChrystal. In this "menu" presented to the White House, the Pentagon and its influential chief Robert Gates, have backed a "hybrid" option that would add an additional 30,000 to 35,000 troops to Afghanistan with an additional 10,000 kicked in by other NATO countries. I've never met Ambassador Eikenberry, but since he seems to be portrayed as opposed to "the generals" in the debate over Afghanistan, perhaps I should remind everyone of one thing that many seem to be missing (though Rozen mentions it elsewhere in her article): Karl Eikenberry was a Lieutenant General in the United States Army and Commander in Afghanistan before he became Ambassador. It's not exactly the penstriped suits versus the brass hats here, folks. Earlier, Exum had posted on "Throwing Karl Under the Bus," noting that the leak of the Eikenberry memos is going to neutralize Eikenberry's effectiveness as Ambassador to the Karzai Government, which raises questions of whether whoever leaked it realized the effect on his effectiveness as a diplomat. But I think the main point I want to make is that this isn't a dispute between the diplomats and the generals: there really are divisions in the military itself over this, and Eikenberry was a three-star not long ago himself. 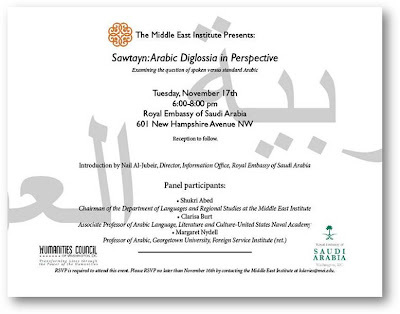 We've talked about the issue of diglossia in Arabic a few times on this blog: now MEI is putting on a panel on the subject sponsored by the Saudi Embassy. See the invitation for information about RSVP, etc. I know it's hard to read, but if you click on the image you'll get a bigger version. Bahrain: Yemen's ambassador to Kuwait Khalid Rajeh has reiterated charges that Kuwaiti religious groups were supporting the Al Houthi rebels in Yemen. "The Kuwaiti groups have been supporting the rebels financially and through the media. However, the Kuwaiti political entity has nothing to do with this support," the ambassador was quoted as saying by Al Watan daily. Al Rajeh said that groups and individuals in Iranian religious schools have also been extending support to the Houthis. The Yemeni ambassador's statement came days after his foreign minister Abu Baker Al Kerbi said that the Zaydi rebels, also known as Houthis, were getting support from Kuwaiti, Saudi and Bahraini quarters, without naming them. Okay, the word no one is quite saying, is "Shi‘ite." They're implicating Saudi, Kuwaiti, and Bahraini Shi‘ites — Iran has long since been demonized — and this may not augur well for those communities. As far as I can tell, officially the Saudis are still insisting they are only pushing the Houthis who crossed the Saudi border back into Yemen, though the Houthis have claimed all along that the Saudis are fighting inside Yemen. Prince Khalid bin Sultan, effectively the head of the Saudi Armed Forces, was quoted as saying Saudi Arabia planned to push the Houthis tens of kilometers inside Yemen before ceasing their offensive, and it's hard to see how you do that unless Saudi forces go across the border. And there's a lot more out there, including videos of downed Yemen Air Force aircraft, etc. The world's media is a bit absent and YouTube videos can mean anything (Anyone can paint Saudi insignia on a vehicle), but it's interesting to see what's being claimed. Old-timers in this business, and even some of the younger ones, will be aware of Middle East International. For decades, it was the voice of what might be called the British Arabist network: folks who shared a general vision of the region (including dovish Israelis, and lots of old British Arab hands, and as time went on, more and more Arab writers as well). The articles were long, well-informed, and aimed at people who knew the region well. It was the opposite of the USA Today brief TV-like news reporting, and was at times almost scholarly. Though not a newsletter, it had a sort of newsletterish audience (informed people who really need solid, reliable and knowledgeable information and analysis), and — just like my own newsletter efforts — it faded and died. It ceased publication in 2003, but some of the old staff have recently revived it, this time in Cyprus rather than London, and with more of an electronic footprint. Here's their website, and they've been shrewd enough to make the first issue available free in .pdf. Here's a post by The Arabist on the subject; and I may comment more once I've actually read the issue. The old publication had a devout following; it will be interesting to see if they can revive it in the electronic era. Lost Army of Cambyses Found? Any ancient Egypt/Ancient Near East buffs out there may find this one interesting: two Italian archaeologists have found human bones and Achaemenid era jewelry that they suggest could be the lost army of Cambyses, one of those historical mysteries derived from Herodotus' tale-telling; if they're right, then the army took a different route between Kharga and Siwa than most searchers had believed. The new blog Suq al-Mal, which earlier advised us about the sand shortage in Saudi Arabia, now has a post, "Falcon Market Poised to Soar," on how a single falcon has been sold for 299,000 Saudi Riyals or some $79,000 dollars. That must be some bird. Here's the Saudi Gazette article with the original story. The seller says, "The price for falcons seems to still be on the rise, even though there are plenty of other more modern and effective ways to hunt these days." Yes, but none so traditional. For many years, and perhaps still in parts of Europe, people would observe two minutes of silence at 11 am on 11/11. If it has taken you two minutes to read this, perhaps you just did as well. While I was hors de combat with our Annual Conference, the Middle East went right ahead with its usual production of more events than it is able to consume locally. The June (remember June?) 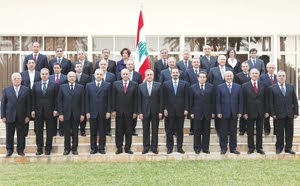 elections in Lebanon finally produced a Cabinet, and it only took till November. Since today's a holiday (and I'm late to the game anyway, having been at the Conference), I'm going to let other folks handle most of the coverage. There's thoughtful analysis at Qifa Nabki, (and read the comments to his post as well), with more doubtless to come. There's a lot available on The Daily Star's Lebanon pages, as well as their editorial pages. I'll let them comment on the Phalangist (Kata'ib) threat to boycott. And if they're too pro-Western for you, here's Hizbullah's Lebanon section. What does it say about the new Lebanese Govt that the Ministry of Justice is in the hands of Samir Geagea's party? Well, Geagea's personally quite familiar with the country's justice system, from the inside. Lebanon: Really on the Verge This Time, Maybe. Sand Shortage in Arabia! No, Really.